After pleading guilty in June, Dr. Raymond Heller of Omaha was sentenced to five years of probation in Tulsa. Heller was reportedly a part of distribution of more than 40,000 doses of steroids to dozens of customers across the country. Heller said in plea documents that he signed prescriptions forwarded to him by Ward forandrogenic anabolic steroids – primarily testosterone – to clients of Ward’s “anti-aging” business without having conducted any physical examinations or even having any direct contact with the clients. Assistant U.S. Attorney Joel-lyn McCormick has said the conspiracy featured the distribution of more than 40,000 dosage units to dozens of customers throughout the United States, including in Oklahoma. U.S. Chief District Judge Claire Eagan ruled the doctor will have to spend the first eight months of probation under house arrest and will also be performing 100 hours of community service. Now before the Court is the government's Motion for Criminal Forfeiture Order with Memorandum in Support Thereof (Dkt. # 24). The government asks the Court to enter a criminal forfeiture money judgment against defendant in the amount of $685,741.26. Defendant does not object to the entry of a criminal forfeiture money judgment, but argues that he was merely a "contractor" and the Court should order forfeiture only in the amount of defendant's personal gain from the illegal conduct. On March 11, 2011, the government filed an information, charging defendant Raymond Heller, M.D., with conspiracy to dispense anabolic steroids and seeking forfeiture of "any property constituting, or derived from, proceeds obtained, directly or indirectly, as a result of such conspiracy . . . ." Dkt. # 2, at 2. Defendant is a licensed physician and the government alleged that Dr. Heller conspired with others to "dispense anabolic steroids . . . outside the usual course of professional medical practice and without a legitimate medical purpose." Id. at 1. Defendant waived his right to presentment to a grand jury. Dkt. # 7. On June 8, 2011, defendant pled guilty to the charge in the information and admitted that he "knowingly and intentionally participated in a conspiracy, the purpose of which was to dispense or cause to be dispensed anabolic steroids." Dkt. # 17, at 7. Defendant disagreed with the amount of forfeiture requested by the government, but he agreed that the "Court has the authority to enter a forfeiture judgment for the legally appropriate amount." Dkt. # 16, at 2. Defendant's sentencing hearing is set for January 25, 2012. The government filed a motion for entry of a criminal forfeiture money judgment in the amount of $685,741.26. In support of this motion, the government submitted the affidavit of William Robert Taylor, a litigation financial analyst for the Asset Forfeiture Section of the United States Attorney's Office for the Northern District of Oklahoma. Dkt. # 24-1. Taylor states that defendant's co-conspirator, Edward Franklin Ward, operated an anti-aging business called Max Life. 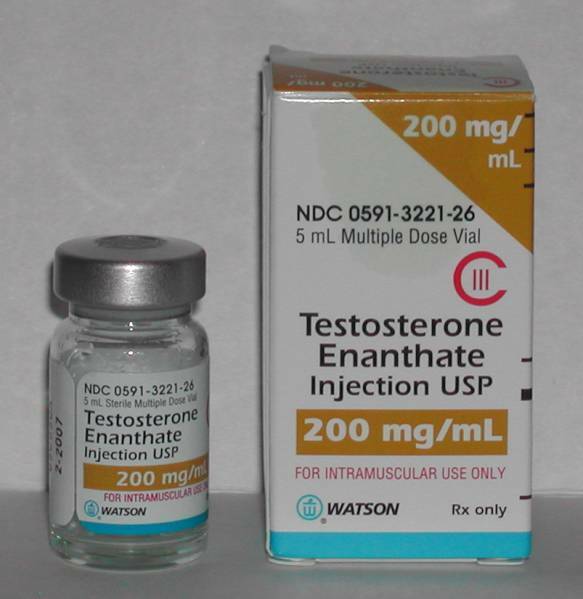 Ward accepted orders for androgenic anabolic steroids over the phone, and the customer would provide a credit card number and shipping address. Id. at 3. Ward prepared prescription forms for the steroids and sent the forms to Dr. Heller for his signature. Id. Dr. Heller would sign the prescription without conducting a physical examination or engaging in any direct contact with the patient, and he received a $50 fee for each signature on a prescription form. *fn1 Id. at 3-4. The overall scope of the conspiracy involved the distribution of over 40,000 dosage units of anabolic steroids. Id. at 4. Taylor reviewed bank records from the period of January 1, 2008 to March 31, 2010, to determine the total amount of profits flowing to Ward and Dr. Heller from the conspiracy. Id. at 5. Taylor identified each deposit in Ward's various bank accounts that could be attributed to a credit card payment for anabolic steroids, and calculated an annual total of gross profits from the sale of anabolic steroids for 2008, 2009, and the relevant period of 2010. Id. at 5-6. He subtracted any credit card processing fees charged to Ward, and found that the conspiracy realized profits in the amount of $685,741.26 during the relevant time period. Dkt. # 24-2. The government also filed criminal charges against Ward, and Ward pled guilty of conspiracy to distribute a controlled substance in violation of 21 U.S.C. § 846. United States v. Edward Franklin Ward, 11-CR-26-GKF (N.D. Okla.), Dkt. # 32. In his petition to enter plea of guilty, Ward admitted that he "conspired with [Dr. Heller] to knowingly and intentionally cause anabolic steroids, which are Schedule III controlled substances, to be dispensed outside the usual course and scope of the professional medical practice." Id. at 2. Ward challenges the amount of the criminal forfeiture money judgment requested by the government, but he agrees that forfeiture is appropriate. Id. Ward's sentencing hearing is set for January 6, 2012, and the amount of the criminal forfeiture money judgment has not been determined. The government asks the Court to enter a criminal forfeiture money judgment for the full amount of profits resulting from the conspiracy. Under 21 U.S.C. § 853(a), any person convicted of a drug crime "shall forfeit to the United States . . . (1) any property constituting, or derived from, any proceeds the person obtained, directly or indirectly, as the result of such violation . . . ." Forfeiture may take the form of a money judgment representing the unlawful proceeds of criminal activity. United States v. McGinty, 610 F.3d 1242, 1246 (10th Cir. 2010). If a defendant is convicted of a conspiracy to commit a drug crime, the mandatory forfeiture must be made "joint and several among all conspirators." United States v. Roberts, ___ F.3d. ___, 2011 WL 4489813, *14 (2d Cir. Sep. 29, 2011). However, if the defendant "played a truly minor role in a conspiracy that generated vast proceeds, joint and several liability for those proceeds might result in a forfeiture order grossly disproportional to the individual defendant's offense." United States v. Jalaram, Inc., 599 F.3d 347, 355 (4th Cir. 2010). The fact that a defendant may have received only a small amount of the overall proceeds generated by the conspiracy is not sufficient to show that the defendant had a minor role in the conspiracy. Id. at 356. Defendant argues that the operation of an anti-aging business was not "per se illegal," and that the "offense conduct did not involve the operation of an illegal business or enterprise." Dkt. # 20, at 2-3. Instead, he asks the Court to view the illegal conduct much more narrowly and argues that the only illegal conduct engaged in by defendant was the signing of prescription forms without conducting a proper examination of the patient. Id. at 3. Defendant claims that he was not an owner, officer, or shareholder of Max Life and that he personally derived no profits from the operation of the business. Id. at 4. He characterizes himself as a "contractor" for Max Life and argues that it would be unreasonable to hold him responsible for any profits derived from the operation of Max Life. Id. at 6. Defendant also cites § 853 and argues that the statute limits an award of forfeiture to the "proceeds" obtained by "the person," and that the plain language of the forfeiture statute itself precludes an award of forfeiture in the amount requested by the government Id. at 5. Defendant has submitted his own calculation of the amount of a criminal forfeiture money judgment, and argues that the appropriate amount of forfeiture is $18,487.50. This amount is based on defendant's tax returns for the years of 2008, 2009, 2010, and defendant claims that the amount represents fees paid to him by Ward for defendant's illegal acts of signing prescription forms without conducting an examination of the patient. Id. at 6-8. Defendant fails to acknowledge that he was charged with conspiracy to violate the federal drug laws, and that the Court must take the full scope of the conspiracy into account in determining the amount of the criminal forfeiture money judgment. In a narcotics conspiracy, each member of the conspiracy is jointly and severally liable for the total amount of proceeds derived from the conspiracy. Roberts, 2011 WL 4489813 at * 14; United States v. Pitt,193 F.3d 751, 765 (3d Cir. 1999); United States v. McHan, 101 F.3d 1027, 1043 (4th Cir. 1996). Defendant argues that he was not an owner or shareholder of Max Life and that he did not receive any profits from the operation of the business, but "the proceeds of a conspiracy are a debt owed by each member of the conspiracy." United States v. Spano, 421 F.3d 599, 603 (7th Cir. 2005). Thus, it is irrelevant that defendant did not personally receive proceeds directly from Max Life and, instead, accepted payments of $50 per prescription (or patient) from Ward. The relevant inquiry is the amount of proceeds derived from the sale of a controlled substance in the conspiracy as whole. Taylor reviewed Ward's bank records from the relevant time period and calculated the total amount of money received from the illegal sale of anabolic steroids. Taylor subtracted the amount of credit card processing fees from this amount, and determined that the proceeds of the conspiracy equaled $685,741.26. The Court finds that this evidence meets the government's burden to prove the amount of forfeiture by a preponderance of the evidence. Defendant appears to be arguing that he was a minor participant in the conspiracy and that it would be improper to assess the total amount of forfeiture against him. See Dkt. # 20, at 3-4 (defendant argues that he was a "contractor" and had no part in the operation of Max Life). Even accepting defendant's statement as true regarding operation of Max Life, it is clear that he was more than a contractor of Max Life and it is reasonable to enter a criminal forfeiture money judgment for the full amount of $685,741.26. Defendant's participation in the conspiracy was key to its success, because Ward could not have provided anabolic steroids to his customers without defendant's help. Ward accepted orders from customers for anabolic steroids, but he had no means to obtain the steroids without the help of a licensed physician who was willing to write prescriptions. Defendant wrote prescriptions for anabolic steroids for patients who he had never seen, and accepted a $50 fee for his services. Although defendant did not share equally in the profits of the conspiracy, his participation was essential to its success and he is liable for forfeiture for the full amount of proceeds generated by the conspiracy. IT IS THEREFORE ORDERED that plaintiff's Motion for Criminal Forfeiture Order with Memorandum in Support Thereof (Dkt. # 24) is granted, and a criminal forfeiture money judgment in the amount of $685,741.26 will be entered in favor of the United States of America and against Defendant Raymond Heller, M.D., jointly and severally with Edward Franklin Ward. Nebraska doctor Raymond Heller has avoided prison for his role in the criminal case involving the illegal distribution of anabolic steroids by the Max Life anti-aging clinic. Heller pleaded guilty to prescribing the testosterone outside the usual course of professional medical practice. United States District Judge Claire Eagan sentenced Heller to five years of probation with the first eight months under house arrest and 100 hours of community service. Heller was expected to serve a minimum of 15-21 months in prison under federal sentencing guidelines. But Judge Eagan showed leniency given Heller’s otherwise law-abiding life. Heller has not escaped his responsibility for a portion of the $685,741 forfeiture against him and his Max Life co-conspirator Edward Franklin Ward. The forfeiture represented the proceeds earned by Max Life from October 2008 until April 2010. The anti-aging business resulted in the distribution of over 40,000 dosage units of anabolic steroids to individuals from various professions around the United States. Federal prosecutors at the U.S. Attorney’s Office in Tulsa indicted Heller since some of the prescriptions he issued were to individuals residing in Oklahoma. Ward, the owner of Max Life, had hired Heller to write prescriptions for clients of his anti-aging client. Heller was paid a flat fee of $50 for every prescription he signed. The use of testosterone is a widely accepted treatment for the medical condition of hypogonadism (low testosterone). However, a physician is required to take certain steps before he can issue a valid and legal prescription. Heller never had direct contact with, much less conducted any direct physical examinations of, any Max Life clients. He was simply paid $50 by Ward for each and every prescription he signed for Max Life. Max Life owner Ward pleaded guilty in June 2011. He is expected to be sentenced in April 2012.